Serjeants’ senior associate and chartered patent and trade mark attorney, Tim Cadman, is taking part in this year’s charity Stand Up Challenge in Leicester. Held during the Leicester Business Festival, the Stand Up Challenge will see prominent local business leaders take to the stage and perform their first ever 5 minutes of stand-up comedy. All proceeds from the night will support local charity Big Difference Company, which aims to improve the health and wellbeing of communities across the UK. Here, we do a quick Q&A session with Tim on the event. Firstly, could you tell us a bit about yourself and how long you’ve worked for Serjeants? I moved to Leicester straight after university in 2004 in order to work at Serjeants. I qualified as a patent attorney in 2008 and as a trade mark attorney shortly after. I have worked as a patent and trade mark attorney ever since. I live in Houghton on the Hill, just east of Leicester, with my wife, two children, and our dog. I’m originally from Northumberland and I studied at Cambridge University before joining Serjeants. Why have you chosen to take part in the Stand Up Challenge? I always like a challenge. I believe that life is all about trying new things and having new experiences. I’ve seen reports of the Stand-Up Challenge in previous years and there was always a small part of me that it appealed to because it is unlike anything I’ve ever done before and is well outside my comfort zone. When the opportunity to take part arose this year, I jumped at it. I’m also very happy to help raise money for a worthwhile cause. How are you feeling about the event? Are you nervous? Currently I’m mostly excited and only a little nervous. I expect that to switch around as the event gets closer. My current approach to avoid nerves is the same approach I took to naming my children: I’m not telling anybody any specific details. That way, they can’t tell me their opinions in advance. Before the event happens people are generally more than happy to provide honest advice e.g. “that joke is not funny,” “you can’t call your child that, it is ridiculous.” Once the event is over, I’m hopeful that most people will be too nice to provide their honest opinions. I have friends and family who are planning to attend my stand-up debut and they are all very much looking forward to it. They have reassured me that whatever happens it will be an enjoyable evening for them: if I’m funny they will have a good laugh with me and if I’m not funny they will have a good laugh at me. It will be impossible for me to disappoint them. 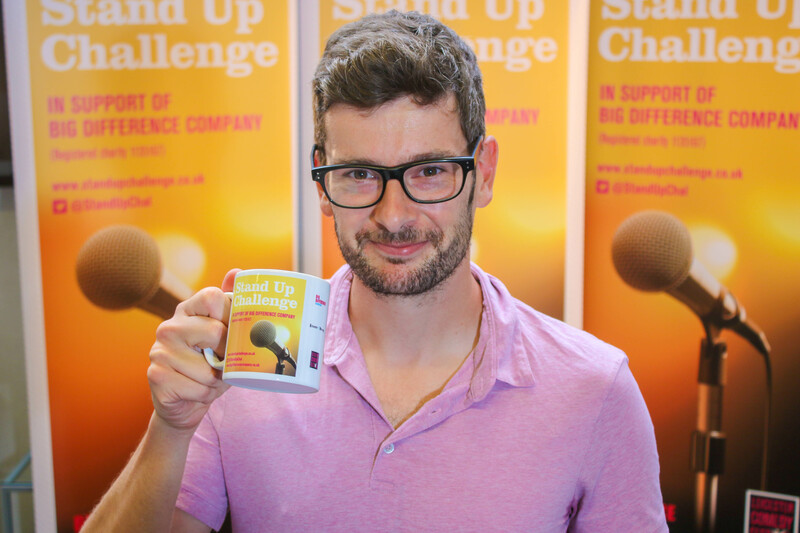 The Leicester Stand Up Challenge takes place on Wednesday 7th November at The Y Theatre.